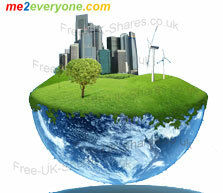 me2everyone is growing rapidly by giving away free shares in the company. Over 100,000 people have joined already, but what is it..? 5 March 2013 Another 5 months pass, and the company passes it's 4 year anniversary. More restructure, more proposed restructure (!). Reports of yet more problems. And still nothing actually gets delivered. Too many companies, too many managers, no clear vision. 4 years of failing to deliver is pretty embarassing guys. 2 October 2012 Oh dear, 14 long months later. But again things have actually limped in a general forward direction. We're now looking at the beginnings of version 3 of the site (behind the scenes). It looks the best so far - but there isn't really any decent excuse for it not looking like this over 3 years ago, and it's still only about 10% in place functionally..! Will the next couple of months see promises delivered, or just more talk? 3 August 2011 Another year goes by. Lots more changes, lots more ideas, lots of talk. But sadly still nothing of substance has really been delivered against the key promises of me2everyone. They have just released the ability to convert your points (now called Metoo's) into actual shares. Membership has dropped back to 527,116 people. But the promise of delivery has ramped up again, so maybe the next few months will now see some real action..? 6 July 2010 A year passes. Lots of changes, lots of delays, lots of minor releases. But the promise of M2E still remains highly elusive. New owners 'Complete Earth Organisation SA' have always been involved, but now take a major role. Perhaps they can finally deliver. It will certainly take something impressive to win back the 576,266 members who signed up but have now long forgotten what M2E was about. 6 June 2009 New CEO Michael Leonard takes the reins and promises the new version 1.5 site will be released in June. 473,431 members waiting! 30 May 2009 36 new admin staff - these guys are serious. 7 Mar 2009 Two months, 250,000 members and over 100 countries. That's some achievement. m2e is now slating the end of March for the proper beta site. And by mid-June the 3D aspects of m2e should take shape. 24 Feb 2009 About 10 days from me2everyone releasing more details about this intriguing web launch. 188,455 people have already signed up. 20 Feb 2009 Crazy, 15,000 people a day are signing up to this thing - and we don't even know what it really is yet :-). Just goes to show - the chance of owning a small piece of a big pie, for free, is a very appealing offer. Expect more company launches like this soon! 30 Jan 2009 54,000 members in 21 days. And a hint of what this beast is going to be... "me2everyone will begin life as a 2D place, evolving into a hybrid between 2D and 3D". Could it be the next logical step from MySpace / FaceBook? 24 Jan 2009 Steady improvements in server and site stability (and another £12,000 invested in servers!). This thing is growing faster than anyone could have predicted. Looking forward to seeing the real Version 2.0 website. 18 Jan 2009 Blimey. 29,984 people joined already. 8 Feb 2009 New members now receive 250 shares. If you got in earlier, well done. If not, jump now before they reduce it again.